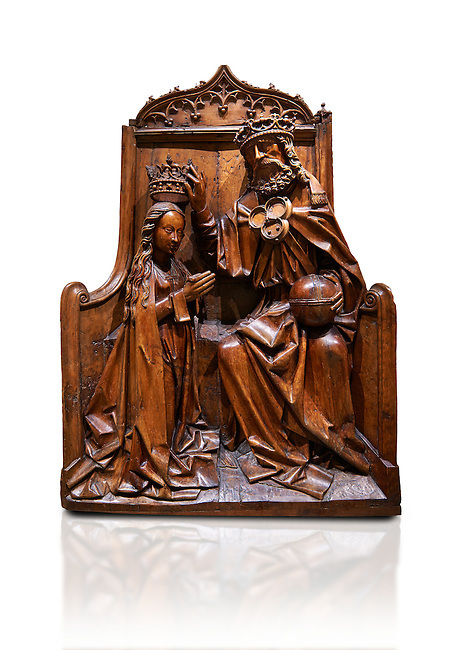 Gothic wood relief sculpture of the crwoning of of the Virgin Mary in the central European sgchiool style, end of 15th Century. National Museum of Catalan Art, Barcelona, Spain, inv no: MNAC 5270. Against a white background.